Identity Fraud has been a mainstay in the identity theft protection market for over a decade. It distinguishes itself from competitors by offering affordable monitoring plans that don’t skimp out on important features. Visit Identity Fraud site here. The company provides two plans: Gold and Platinum. The Gold plan includes all the company’s services except for Identity Fraud’s 3-bureau credit monitoring, which is reserved for the Platinum plan. Credit monitoring includes annual credit reports and scores. The Gold plan costs $9.95 per month or $99.95 per year, while the Platinum plan costs $15.95 per month or $159.95 per year. After you sign up for one of its plans, Identity Fraud uses a proprietary algorithm to determine your SMART ID risk score, which identifies vulnerabilities and potential for fraud. Once established, the company’s monitoring service will use these results as a baseline to scan for changes to the score. In addition, Identity Fraud scans for usage of customers’ credit cards, Social Security Numbers, and personal identities online. Finally, Platinum subscribers are protected even further by 3-bureau monitoring. The company’s real-time notifications are an excellent way for customers to react to identified irregularities, and avoid falling into bigger trouble due to a comprised identity or fraud. Identity Fraud notifies customers when there are changes to their SMART ID score alongside any suspicious activity that occurs. The company offers all customers around-the-clock access to its restoration services, which includes staff that are Fair Credit Reporting Act-certified. 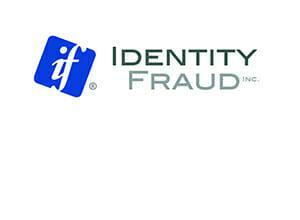 Identity Fraud offers customers identity theft insurance for up to $1 million, as well as lost wallet protection. This service helps cancel and re-order credit cards or forms of identification in case they are lost or misplaced. Identity Fraud offers some rare value-added features. The company provides customers with extra protection for their online interactions, including a keystroke encryption suite. Additionally, Identity Fraud members can take advantage of the company’s educational center, which includes an introductory guide designed to help users prevent identity theft. Identity Fraud does not offer mobile applications for iOS or Android, but customers can easily access their account information from their smartphones and tablets through the company’s website and online dashboard. Getting started with Identity Fraud can take a few minutes, but is a straightforward process otherwise. Customers simply have to select their plan and complete an initial application to gain access to their dashboard. Once there, the service will run an preliminary scan of customers’ information to create their SMART ID score. Customers can then customize their alerts and monitoring to ensure that the protections reflect their exact preferences. To get in touch with Identity Fraud for general assistance, customers can dial the company’s toll-free number which is available Monday through Friday between 8:00 AM and 5:00 PM Pacific Time. Customers can also contact the company via traditional post or email, with responses to email generally arriving after one business day. Identity Fraud is a streamlined way for individuals to protect themselves from some of the most common forms of identity theft. The overall quality of its service, along with the customizability of its monitoring and notification tools, are very impressive given its low price.